The Numatic Wet & Dry Vac WVD 570-2 vacuum cleaner is ideal for clearing up spillages in wet areas. A highly portable and rugged machine for commercial and light industrial use. It is quicker and more effective than a mop and bucket. It is both easy to use and maintain and will pick up water in seconds. The Numatic Wet and Dry WVD570-2 can also be used as a dry cylinder vacuum by simply changing the filter. 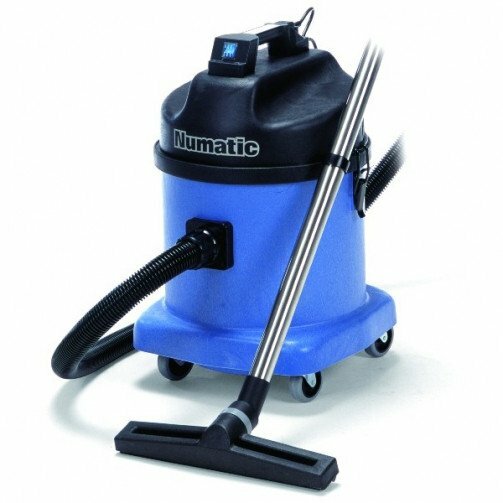 The Numatic Wet and Dry Vacuum Cleaner WVD570-2 features twinflo bypass motor 1060 x 2 watt giving airflow of up to 98 litres per second. The Numatic WVD570-2 Wet and Dry is manufactured using Structofoam throughout. Airflow: 80 Litre per second. Dimensions: 415mm x 415mm x 645mm.